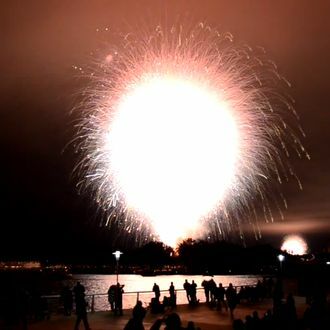 San Diego’s Big Bay Boom fireworks show is a young show, just twelve years old. But what it lacks in experience, it tries to make up for with enthusiasm. Sometimes too much enthusiasm: last evening, organizers accidentally set off all of the planned fireworks at once, before the show had even officially begun. It was indeed a very, very big boom, but lasted just 30 seconds. The Coast Guard referred to the incident as a “premature ignition,” while organizers apologized for the “brevity of the show.” Presumably this will all improve once the show makes it out of adolescence.